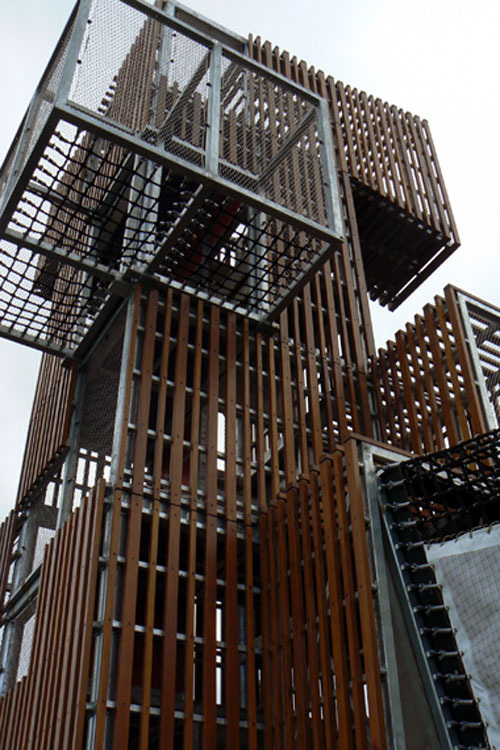 The Treehouse forms the centre piece of the new playground upgrade designed by JMD Design. 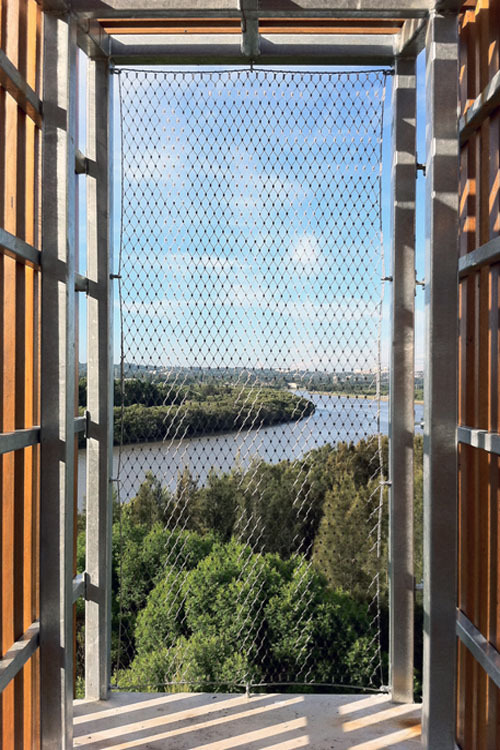 The 12m high structure allows the users impressive views up the Parramatta river and over the parklands. Tensile Design and Construct was engaged to provide the infill material to the Treehouse using our Jakob Webnet stainless steel mesh.The juxtaposition of transparency vs strength in one material made its selection elementary. Panels of Webnet mesh in various shapes and sizes dot the walls and roofs of the Treehouse at scalable heights for the users, be they crawling, 3ft tall or 6ft tall and just couldn’t help climbing up with their kids to see the view. 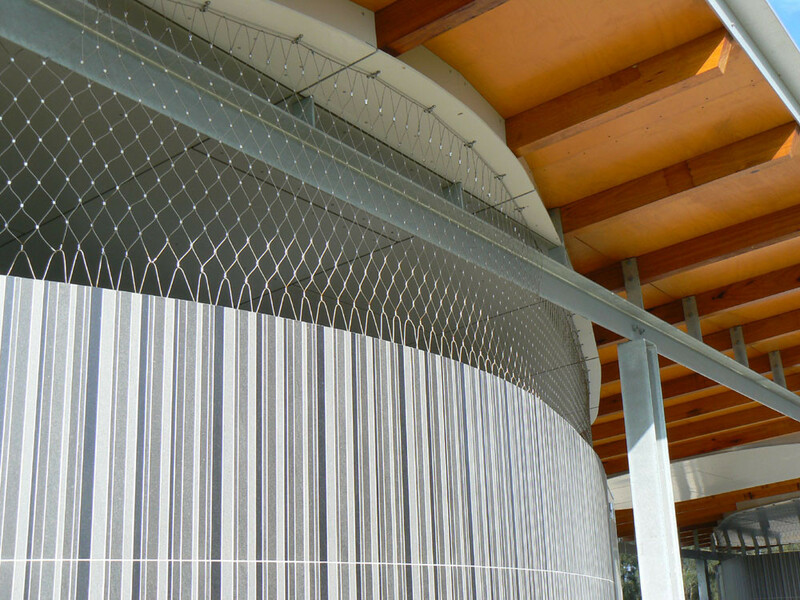 The stainless steel mesh is also utilised in the nearby amenities block where it curves its way between the overarching roof and partition walls, providing ventilation and security. 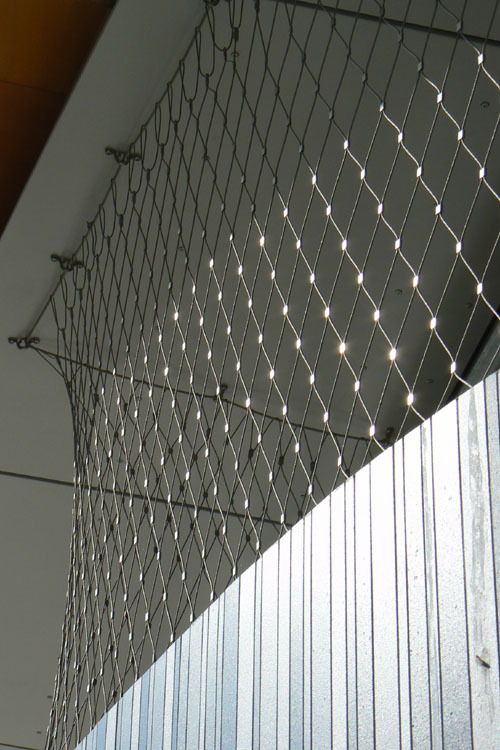 This is an ideal use for the flexible Webnet mesh showing its unique dynamic fabric-like ability. 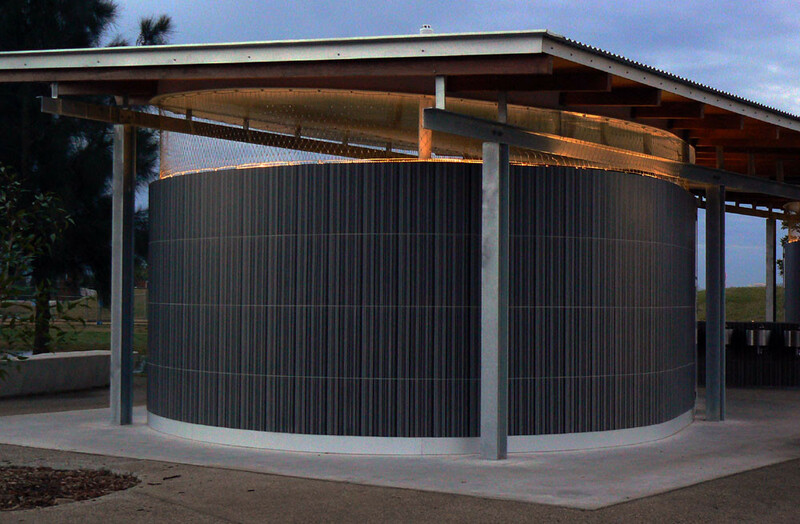 The panels for both the Treehouse and amenities block were installed by Tensile’s skilled team using Jakob Inox fittings and being pre-made off site, installation was on time and on budget. 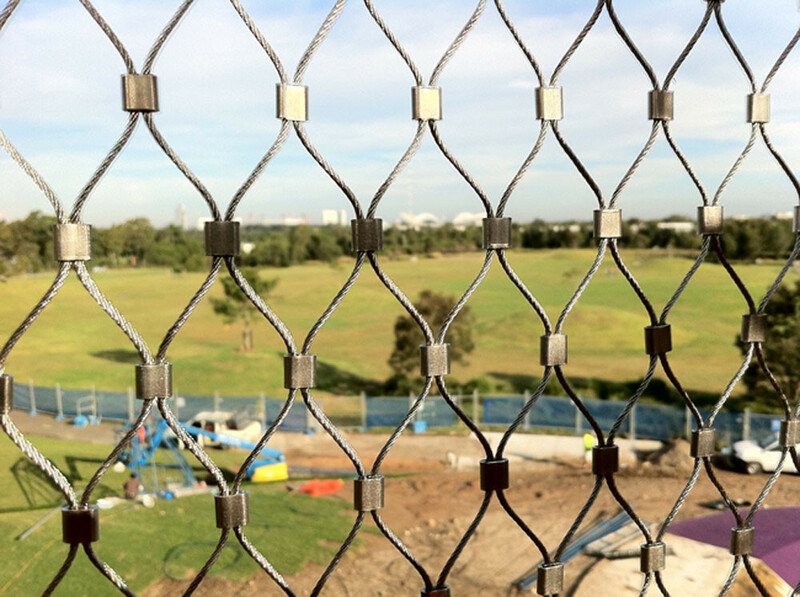 The highly popular playground feature and supporting buildings make a great addition to the parklands and the greater Olympic park as a whole. 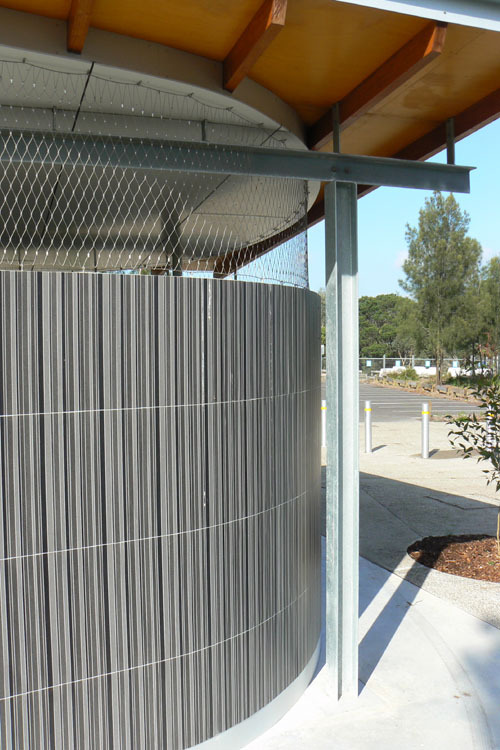 Webnet stainless steel mesh plays to its strengths of being a lightweight, rugged and multifunctional material.